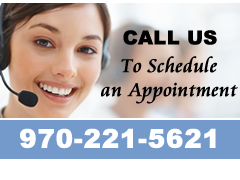 Serving the Entire North Colorado Front Range Including: Weld, Larimer and Boulder County. Stay warm and comfortable all winter long with complete heating services from Specialized 72 Degrees Air Conditioning & Heating. Whether you’re interested in repairing the current heating system you have, or are interested in a completely new furnace, our certified technicians have the knowledge to assist you. Our team takes pride in doing whatever it takes to make sure your heating system is producing the comfort level you desire while performing the most beneficially for your electric bill. Think everything is running properly? It is still important to receive an HVAC maintenance tune-up annually, just to make sure everything is working properly – you could save money on your monthly energy costs.